Dearest Concy, you have made my journey in Baeland more beautiful, thank you ! Thanks for posting Concy's birthday here. 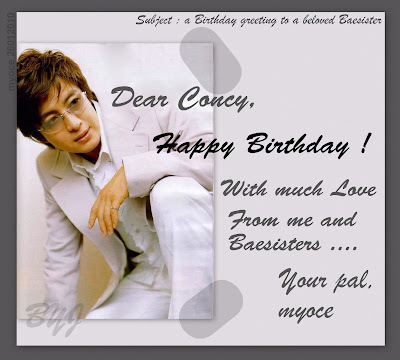 Happy Birthday Concy..all the best dear friend..